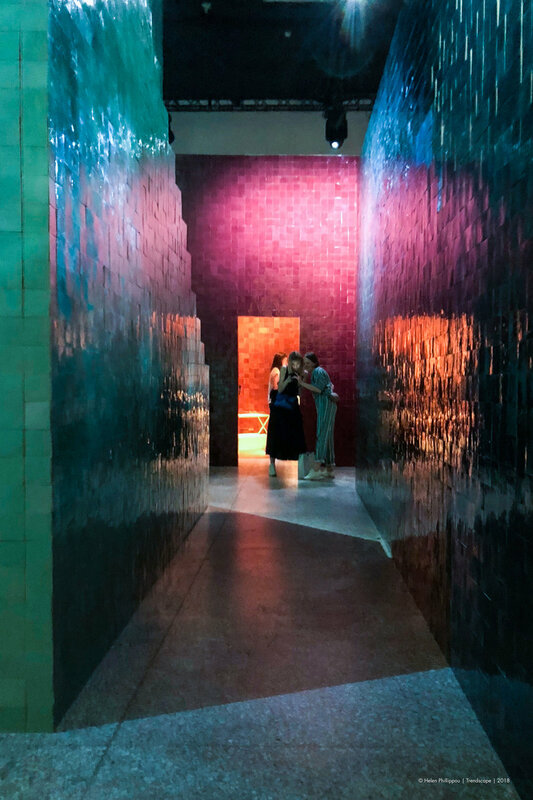 Milan Design Week has been on my creative bucket list for many years now. After deciding to leave my full time creative career to pursue other creative avenues the first thing I did was book my ticket to Milan! What a better way to regroup and feed the creative soul than by attending the globe's most important creative event! 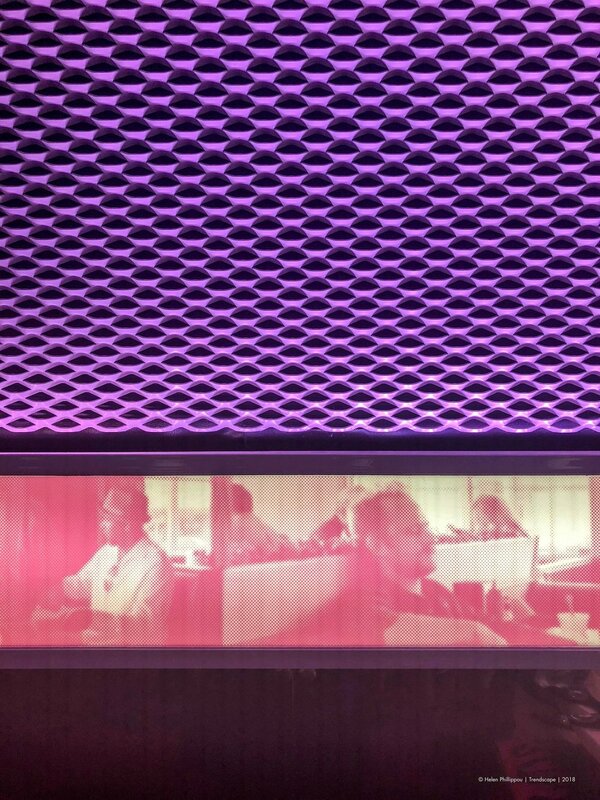 It was a completely immersive experience - it was inspiring, sometimes emotional, exhausting and so much fun! 430,000 people flocked to city making it the biggest turn out ever. Whilst it was crowded and sometimes difficult to navigate I was impressed by just how well Milan gracefully (and of course stylishly) handled the influx. I know Milan really well and I have never seen it bursting at the seams like it did - it was CRAZY but I loved every minute. I saw and experienced so much that by the end I was suffering visual overload… but it would be a dream to be able to do it all over again next year! Here are just a few of my favourite highlights and “oh wow” moments. I’ll be breaking down my trend findings in the following posts. Local Design was my proud to be Australian moment. 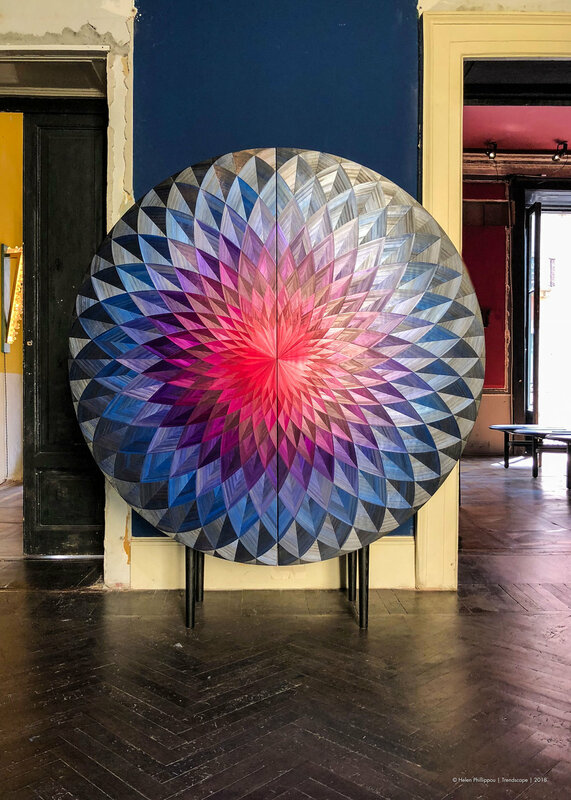 Beautifully curated by designer Emma Elizabeth, 26 designers were showcased in an abandoned palazzo illustrating the strength of the homegrown talent we have. Highlights for me were the Plane Table by Fred Ganim, the show stopping Marquetry Cabinet by Adam Goodrum & Arthur Seigur and Bling Bling Dynasty by Daneil - Emma. 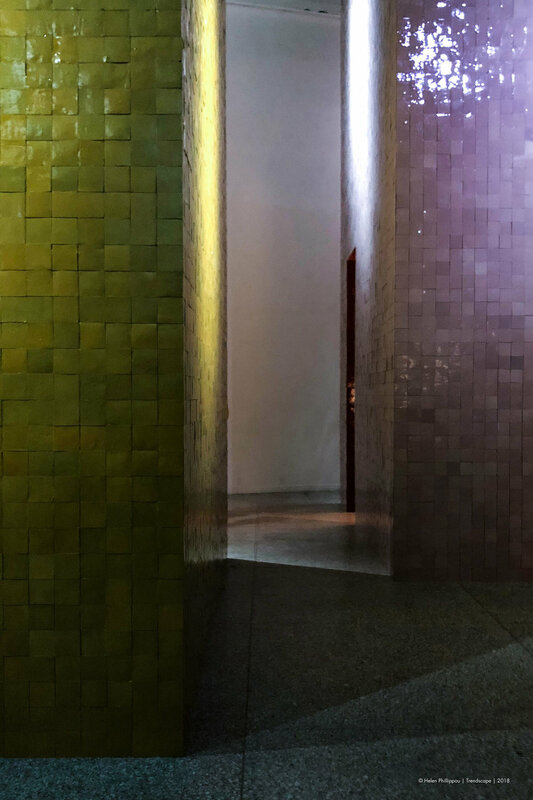 Arcadia, the immersive installation by Sarah Ricciardi for Schloss Hollenegg explores the concept of heritage. 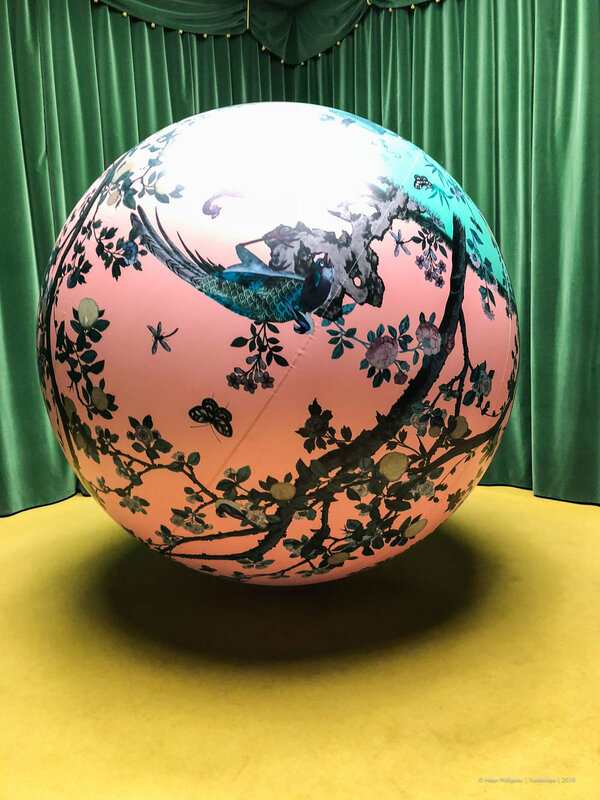 The helium filled ball wrapped in one of Castle Schloss Hollenegg's historical prints weightlessly floats as its interacted with. Playfully representing the idea of not being weighed down by creative legacies. Head over to my instagram to see the video. You had me at disco! Gufram keeping to their OTT super fun, tongue in check style created a disco complete with music and strobe lighting. 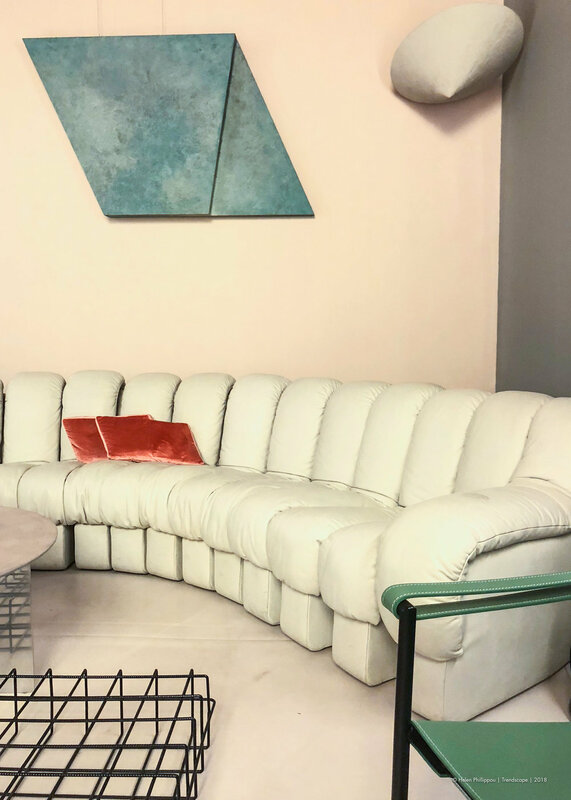 Show casing the most deliciously decadent furniture pieces for Atelier Biagette in metallics, fur and velvet in the most incredible hues ranging from pink, ultra violet and the craziest shade of Klein Blue. 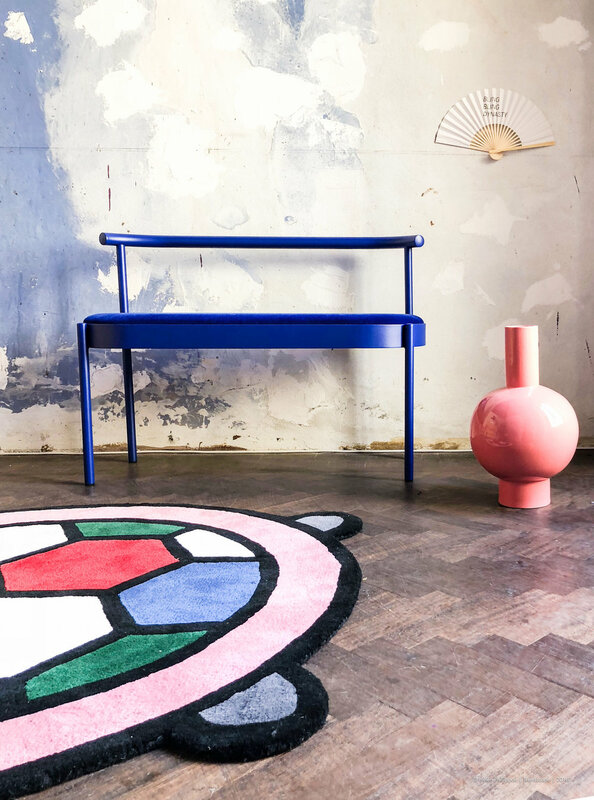 Studio Pepe, the darlings of last year's Milan Design Week stepped it up again this year. The secret invitation only "Club Unseen" within a seemingly disused building was a stroke of genius! "Future, reloaded. Contemporary and memory, sartorial craftsmanship and augmented reality, public and private: antithetical realities ... organically overlapping". The feeling of being in the past and future at the same time is the only way I can describe it. Their palette of soft neutrals punctuated with brights was sophisticated and one of my favourites. I also discovered ceramicist Humble Matter who has fast become my new obsession. 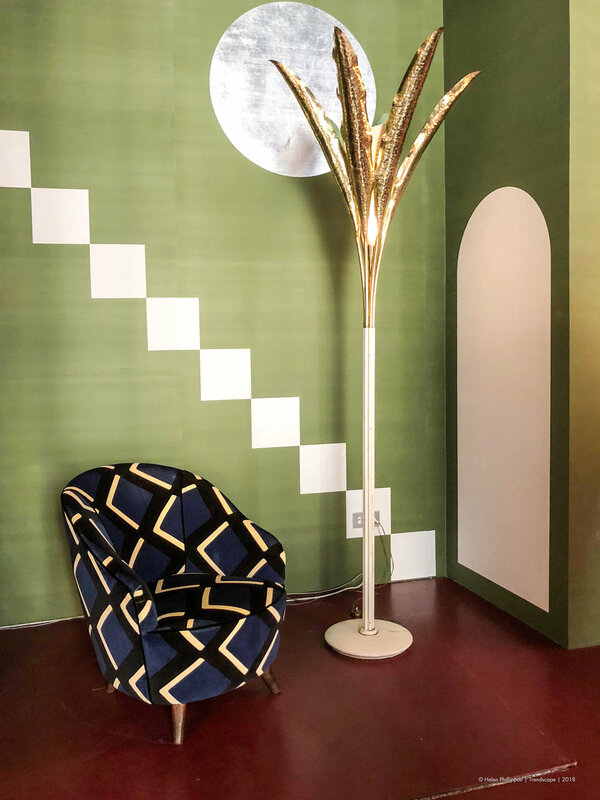 India Mahdavi queen of colour and dreamy spaces you just want to melt into payed homage to gallerist Nina Yashar of Nilufar Gallery creating the private club "Chez Nina". 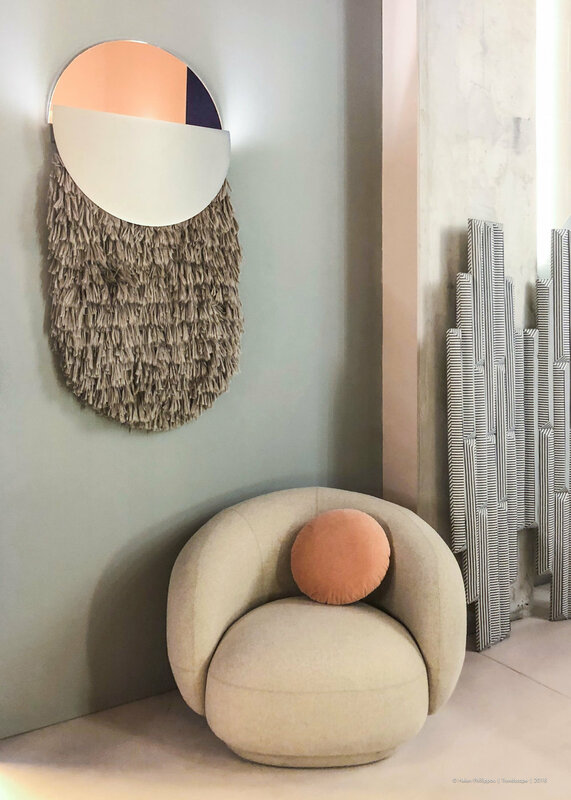 Lush velvet booth seating, fur, brass and tinted glass in a slightly earthier palette created a perfectly glamorous spot for aperitivo. 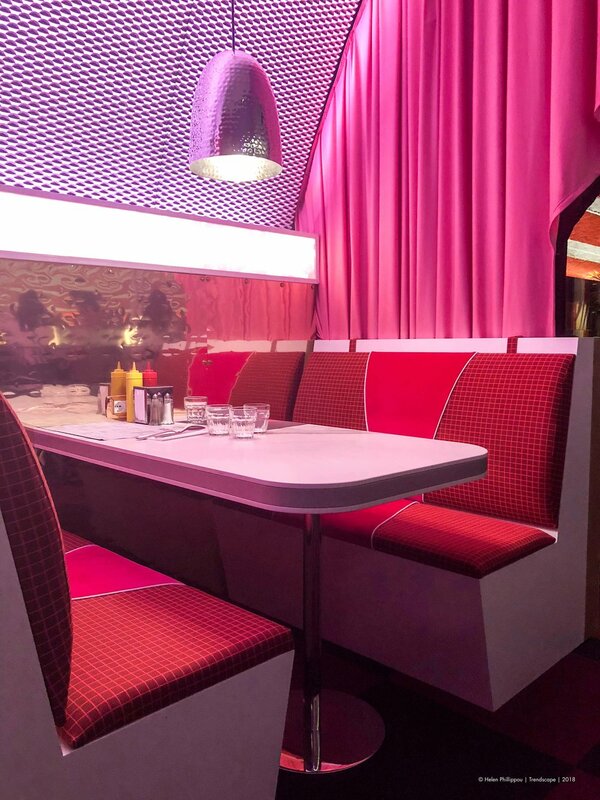 The Diner by The Rockwell Group in collaboration with Surface Magazine and design consultancy 2x4 was a reimagined 50's American style diner with a futuristic edge. 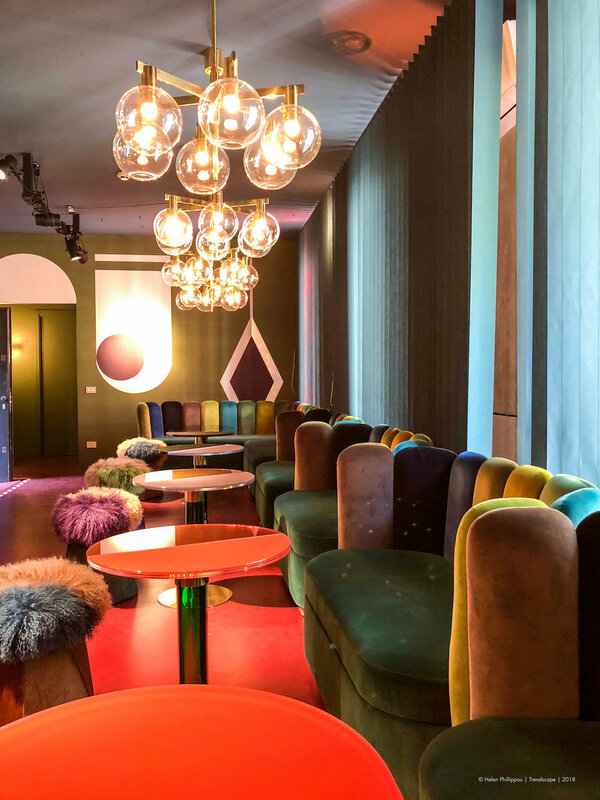 A super fun explosion of pop kitsch where you could stop and have a drink underneath the vaults of Milan's Centrale train station. Oh the magical world of Hermes! 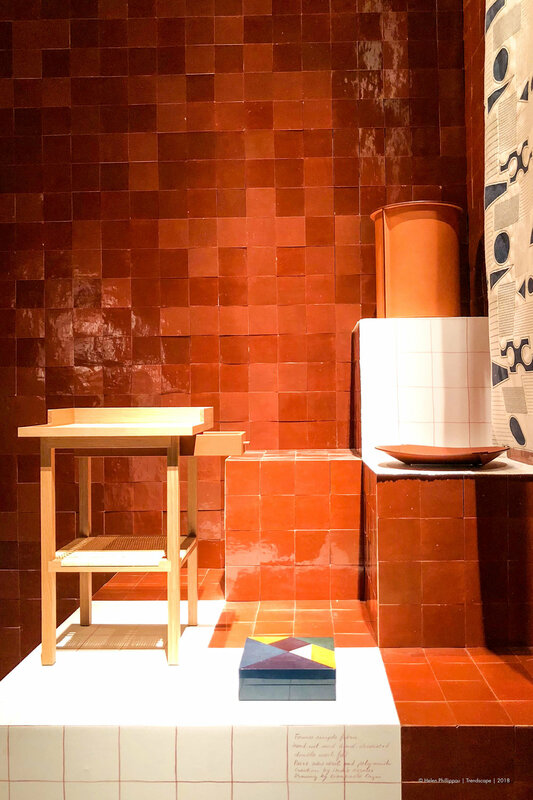 Designed by Charlotte Macaux Perelman the space was a series of pavillions clad with at least 140,000 hand made tiles showcasing the brand's new homewares. The shimmering spaces gave the feeling of being under water - it was somewhere I could've wandered through for hours. It was literally the last exhibition I saw before leaving and I'm so happy I did!